DOUG JOHNSON: Welcome to AMERICAN MOSAIC in VOA Special English. But, first, we go to a place in Maryland where children get “artsy” every Tuesday. DOUG JOHNSON: Every week, children gather at a home in the Remington neighborhood of Baltimore, Maryland. The house belongs to Beth Barbush, an artist and local community activist. The children will spend about ninety minutes there doing art projects under her guidance. The weekly “Porch Art” meeting is one of the largest and longest running art programs in this historic but sometimes dangerous area. Christopher Cruise has our story. CHRISTOPHER CRUISE: Beth Barbush started “Porch Art” four years ago. She gathered a few art supplies from her home and several neighborhood children who had little to do in the summer. And she provided her own high energy. The meetings soon moved from Barbush’s porch to the public sidewalk a few meters away. The boys and girls explore a new art form every week. This day, the project is print calligraphy but the children are also drawing, painting and sculpting. Middle school student Toha Mohamed enjoys the program. Other artists and local volunteers help teach the children at “Porch Art.” Many parents also take part. Mother Catherine Bear says the program is about community building and trust. The “Porch Art” event on this day is also the start of a music series. Local musicians volunteer to play instruments while the children do their art. Volunteer Jason Reed says the program makes a difference in the neighborhood. Donors provide the art supplies. Sometimes volunteers provide them. No major groups provide money for the program. And Beth Barbush suggests that outside financial support is not necessary. The artist says “Porch Art” has changed her life. This is the first time she has known all her neighbors by name and the only time she has truly felt part of a community. DOUG JOHNSON: Our question this week comes from Kogi state in Nigeria. Abubakar Yakubu asks about the Smithsonian Institution’s Natural History Museum in Washington. Let us go there now. This is the central room on the first floor of the Natural History Museum. The first thing you see when you enter is a huge African elephant. The animal was fifty years old and weighed eight tons when it was shot and killed in nineteen fifty-five. The hunter then donated the remains to the Smithsonian. Workers used its bones and skin to rebuild the elephant. Now it is a symbol of the Natural History Museum. Around this big circular room are doors leading to the extensive collections in the building. There is a dinosaur room, a mammal room, a gems and mineral room, an ocean room and others. It would take days to really see everything here. But as museum press officer Kelly Carnes explains there is more than meets the eye. The museum is a living, breathing research center. Sometimes the scientists are also seen. Visitors to the dinosaur room can see a working laboratory. 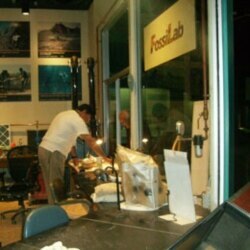 Behind the glass, fossil preparer David Lopez, is hard at work. A small electronic machine in his hand is working the surface of a fossil. A crowd has gathered to watch. Researchers believe this syntarsus lived about seventy million years ago. It is a shock to look at that little animal and then enter the room where a huge diplodocus stands. 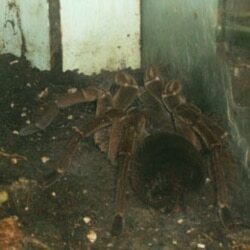 This creature is many meters long and tall. 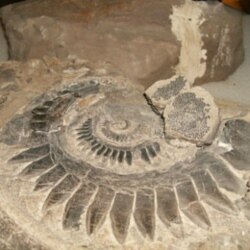 It lived about one hundred fifty million years ago. The diplodocus has been part of the Smithsonian’s collection for more than a century. It has stood in the same place since the museum opened in nineteen-ten. Kelly Carnes says about one hundred PhD level scientists work at the museum. There are also many other researchers and volunteers. And there are many other Natural History Museum scientists collecting information around the world. We wonder if there are any like Indiana Jones, the fearless archaeologist of movie fame. Ms. Carnes says the Natural History Museum is working hard to reach more people more of the time. She says the expansion of resources through the Internet is a continuing project. One is the Ocean Portal, where people can find out about the ocean and its life. The millions of people who do come to Washington and visit the museum, in reality, all seem glad for it. Like Xavier Nunez, a sixth grader from New Jersey. We talked to him as he left the dinosaur collection. 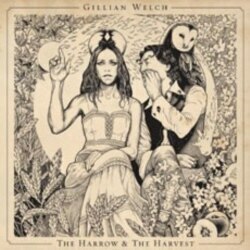 KATHERINE COLE: That was the song “Scarlet Town” from Gillian Welch’s new album “The Harrow and the Harvest.” It has been eight years since a collection of her songs was released. She and David Rawlings have said they wrote songs during these years, but doing so was not easy. They say there was little connecting the songs to anything else to form a record. Here is the song “The Way It Will Be.” Their voices combine so well it is hard to tell where one voice ends and the other begins. DOUG JOHNSON: I’m Doug Johnson. Our program was written by Ana Ward, Dana Demange and Caty Weaver, who was also our producer. Join us again next week for music and more on AMERICAN MOSAIC in VOA Special English.